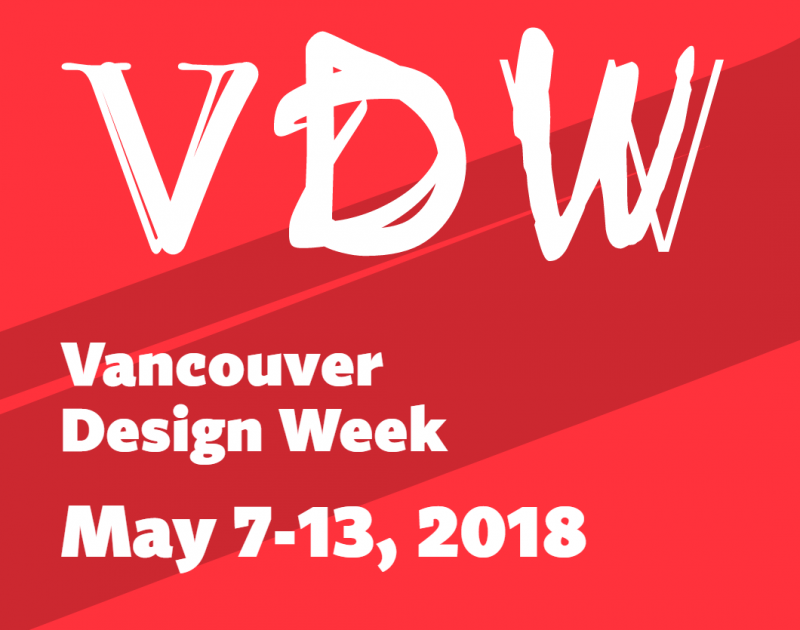 Vancouver Design Week began in 2014 and is back again this May! “VDW’s third edition is the first to have a theme. Setting a theme creates the opportunity to look at design through a different lens each year, deepening our understanding of design and its presence. After all, design is the means through which we shape and create the world we live in. Almost every object, service, and built environment that we interact with has been designed by someone. Everything that has been designed has had a lot of thought put into it – from analysing problems and developing solutions, to conceptualization, production, usability, and ultimately, the resulting effects on people, society and the environment. This year, VDW will focus on the impact that design has on our lives and how it can be a powerful tool to make the world a better place. Participating studios will be able to showcase how their designs impact their environment, their industry and people. This will give VDW visitors a better understanding of the extent to which design impacts their world – from the images they see to the clothes they wear and the objects they use.